No Smoothies? What can I eat for breakfast instead? Many of my patients have this exact concern after they start working with me and we focus on repairing the digestive system. Digestion takes place at body temperature, yet Americans love to slurp and sip cold drinks and liquidy foods. Why is too much liquid a concern? One reason is because many of us have inadequate stomach acid. Consuming too much fluid dilutes the acid and encumbers digestion. For this we can turn to the nutrition branch of Chinese Medicine, and the traditional breakfast of China and other Asian cultures – Congee! 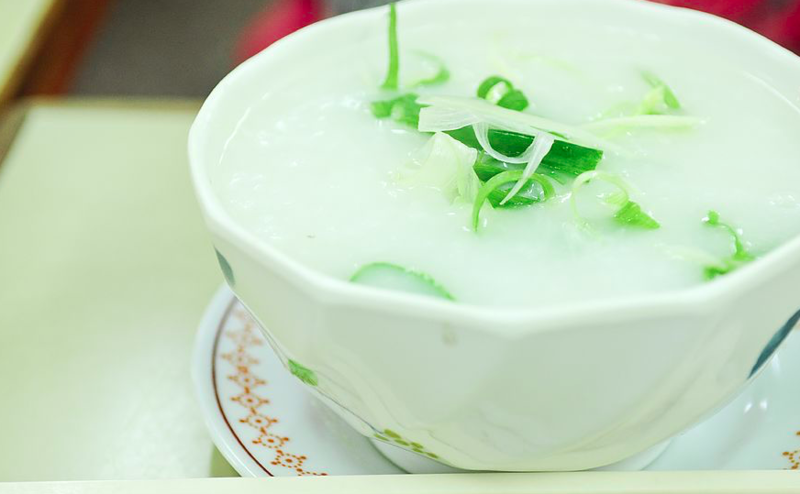 “What is THAT?” I hear you say… Congee is basically rice porridge. It’s a small amount of rice cooked in water in a 1:6 or 1:8 ratio. Anything can be added to it, making it very versatile and adaptable to anyone’s tastes. It is made with white rice, which is a nourishing easily digested “herb” in Chinese Medicine. I want to leave you with a patient story – I had a patient recently who reported having a protein shake every morning for breakfast – when I listened to her abdomen upon percussing I could hear that smoothie sloshing in her stomach more than an hour after eating it. The patient had some other signs of digestive weaknesses, so I suggested steering away from cold liquid meals. In subsequent visit, I listened and heard no splash sound in her stomach – turns out she’d heeded my warning and started making her shake with warm-hot water. Just that change allowed her body to assimilate it better. Send me an email and I’ll send you a handout about making congee at home. This article was posted in Tidbits. Bookmark the permalink. Follow comments with the RSS feed for this post. Both comments and trackbacks are closed.